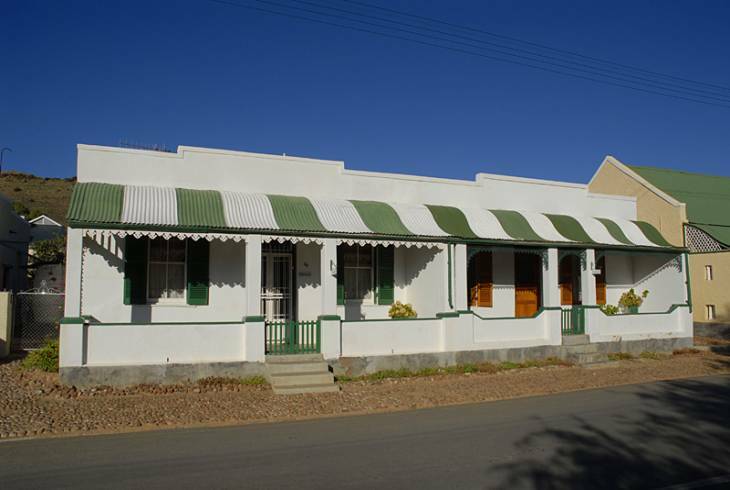 Victoria West is a small Karoo town situated on the N12 highway some 150 kilometres to the north of Beaufort West. The town is wedged in between two mountains and a river and is an excellent stepping off point for visitors to the Great Karoo. The land is beautiful, wild and open, with rough mountains alternating with stony plains, saltpans and sand. The riverine rabbit, an endangered species, is found in the Victoria West region, and specifically in the Victoria West Nature Reserve. The Great Karoo once teemed with vast herds of springbok, but the grazing has now been taken over by large flocks of sheep, which give rise to the world famous Karoo Lamb. The town gets its name from the British Queen Victoria and was established in 1843. Visitors to Victoria West can be sure to get a warm Karoo welcome from the very hospitable locals. Summers here are warm and dry, but visitors should be sure to take something warm to wear in wintertime, when it can become very cold at night. Victoria West overview. Victoria West Accommodation and Information.